Over the last 18 months since having started work again i've spotted something weird... My eyes do get sensitive and irritated, but mainly during time off... as like my body is all fine during the working week, but when its weekend, it can relax and play-up. Something I definitely noticed over the 4 day long weekend here last week during Raya, the end of the Ramadan Period. I had had a very full on week leading up-to these long weekend was really looking forward to some time off, and maybe even go around town and play tourist a bit. 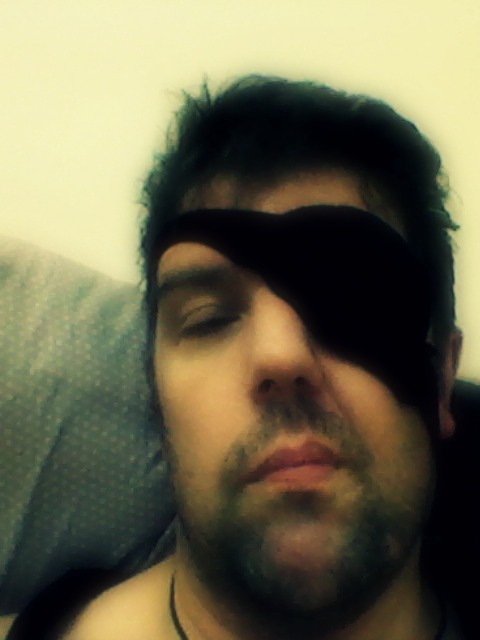 But when I woke up on the Thursday morning I knew I could cancel all my plans… my eyes were red and irritated and sooo over-sensitive to light the only thing I could do was stay in bed, keep the curtains closed and dig out my eye cooling masks and eye-patch…. It sort of reminded me about a couple of times when I was younger and would go on holiday and get a heavy cold or flu or something……. I found 2 interesting links on this, and it talks about that this does tend to happen more than thought, and it sort of put it towards a hidden sense of duty as well…. Seems my parents raised me well on this one then… maybe too well… as im damn sure rather would have played Day Tourist in KL instead of spending it with my eyes covered in bed listening to yet another podcast or something. I'm ok La, busy and hectic, but ok, you?